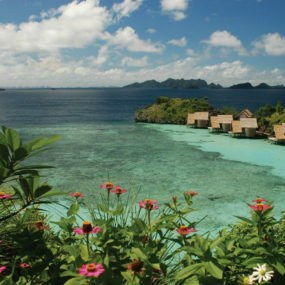 Eco resorts are getting more popular with each year. 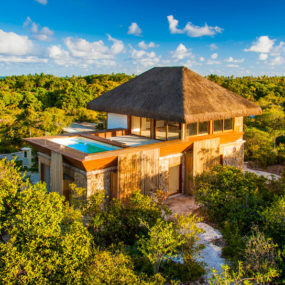 Powered with solar and wind energy, built with renewable materials, and featuring their own water treatment systems eco resorts make for great vacation spots for the eco-conscious. If you care about environment and want to support local communities with your stay these resorts have all the attributes a modern visitor needs. 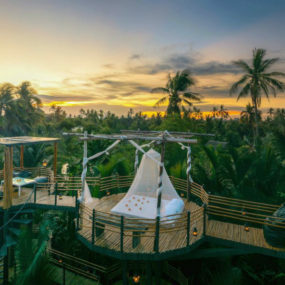 From luxury restaurants to eco-friendly tours these eco resorts try to do it all while protecting local wildlife and even restoring degrading ecosystems. If you think luxury and sustainability don’t mix, you may be convinced otherwise after seeing these resorts. Convenient and eco-conscious they are bringing sustainability into tourism. 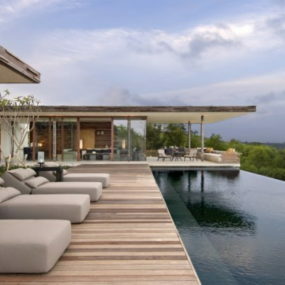 Alila Villas Uluwatu is probably the most luxurious of all eco resorts. Located in Bali and designed by WOHA the resort includes 64 villas offering one or three bedrooms each with its own private pool. Boasting the Best Practice Building Planning and Design (BPDS) certification from EarthCheck the resort utilizes everything from local materials to water management systems to protect the environment. 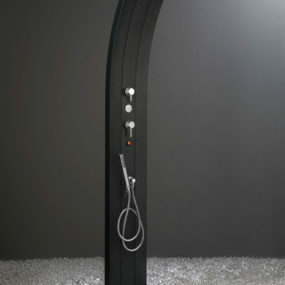 But sustainable approach doesn’t prevent it from offering such luxurious services like personal butlers and car service. 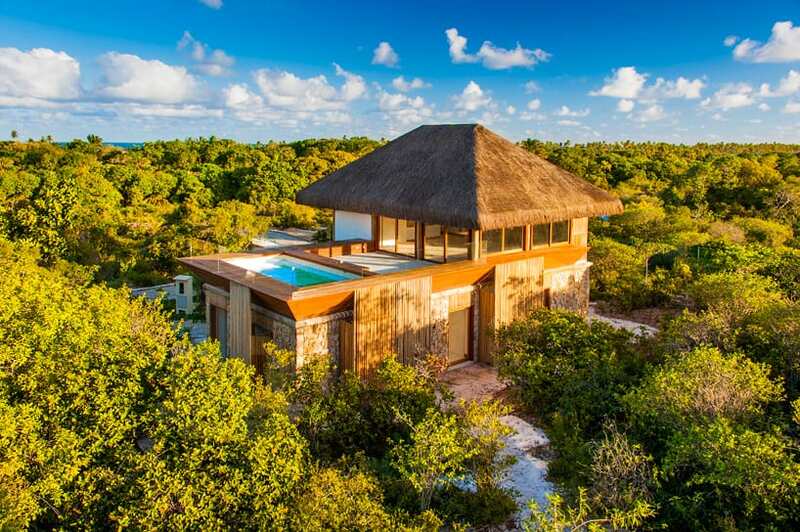 Tivoli eco resort on the northern coast of Bahia is the work of Jacobsen Arquitetura. Drowning in local vegetation it offers 293 apartments sitting on the Atlantic Ocean shore. Each equipped with a private swimming pool the apartments were constructed with natural materials. While walking through dense vegetation preserved during construction might be recreation in itself the designers didn’t forget about such resort attributes as restaurants and an exclusive seawater spa complex. 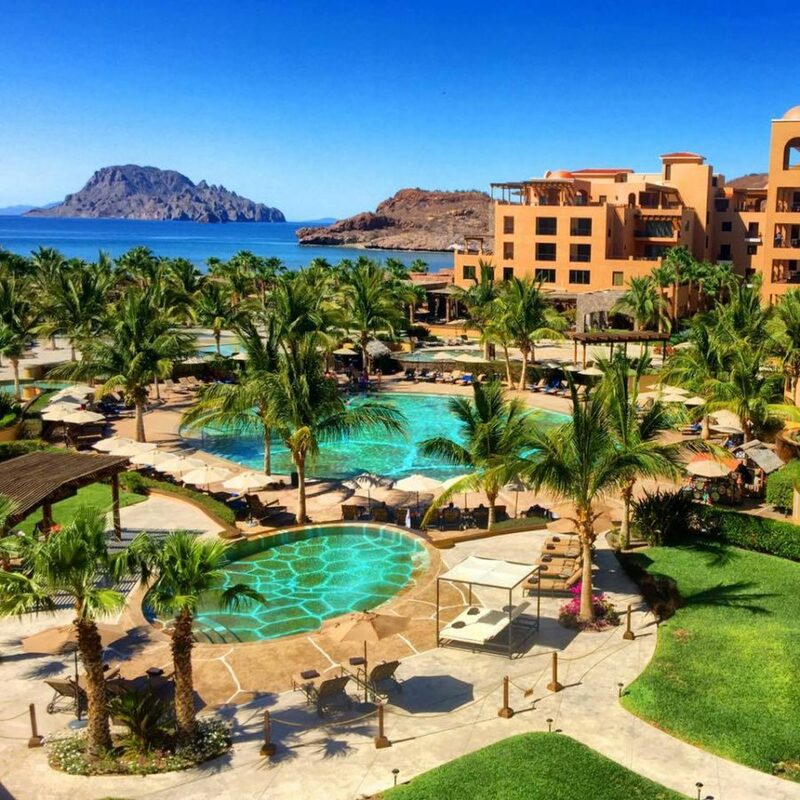 Villa del Palmar is one of the most luxurious eco resorts. 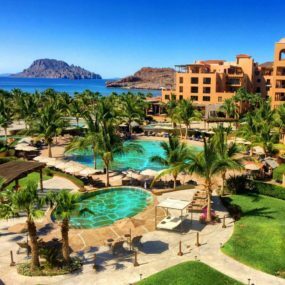 Located in Loreto, Baja California, Mexico the villa boasts a sea water recycling system, its own organic farm, and solar power. And all that is beside the unparalleled views that you can enjoy from the oversized balconies of 181 hotel rooms. Featuring four solar-heated pools and Jacuzzi the villa offers to relax in a sustainable but no less luxurious way. Its area is filled with various pergolas and manicured landscapes with the palms and mountainous hills on the background. 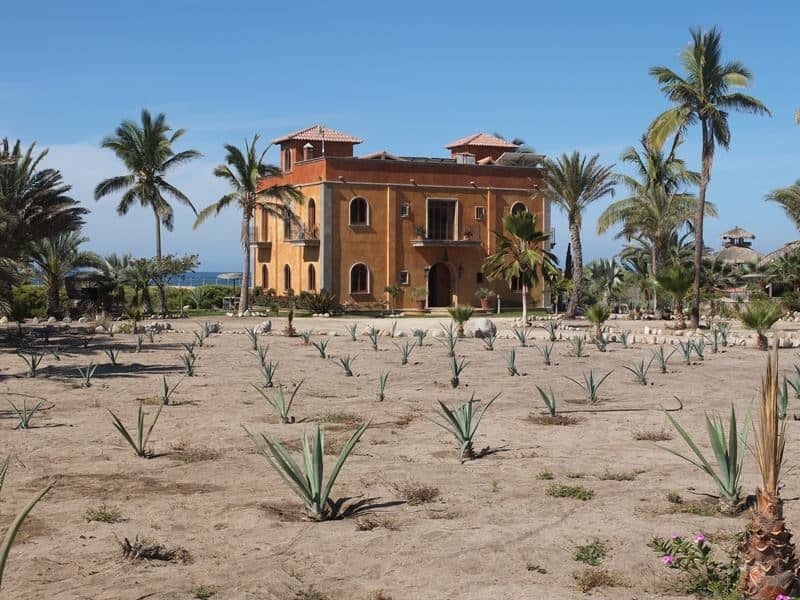 Villa Santa Cruz lies on the Pacific Coast of Mexico and offers a look and feel of a traditional villa. The beachfront eco resort is powered solely by a private solar array and grows its own vegetables onsite. There are just four suites in the building, but the amenities include a swimming pool, a roof terrace and a restaurant all of which are solar-powered. Interiors are finished with reclaimed materials and illuminated with gas lamps at night, which makes it one of the most eco-friendly resorts in the world. 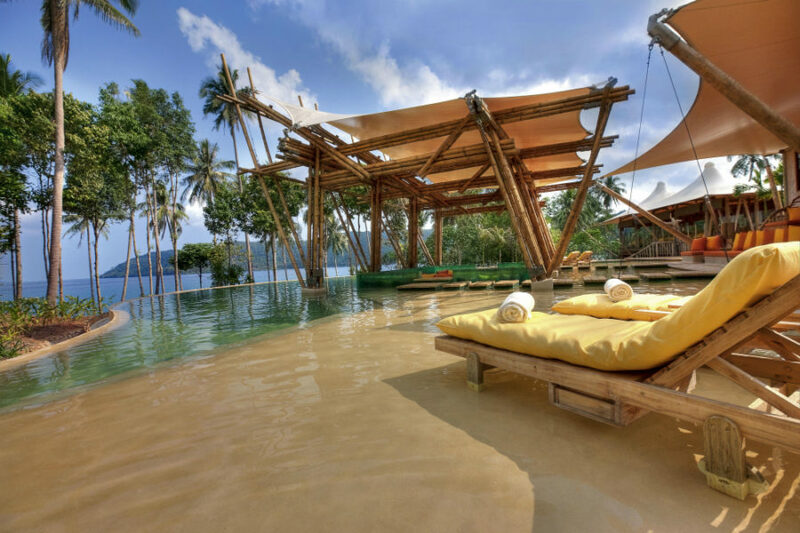 Yun House resort is something truly incredible. 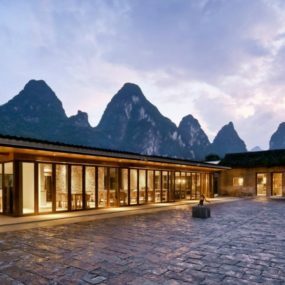 It’s comprised of nine converted farmhouses lying in the heart of a Chinese village in the north eastern part of Yangshuo. 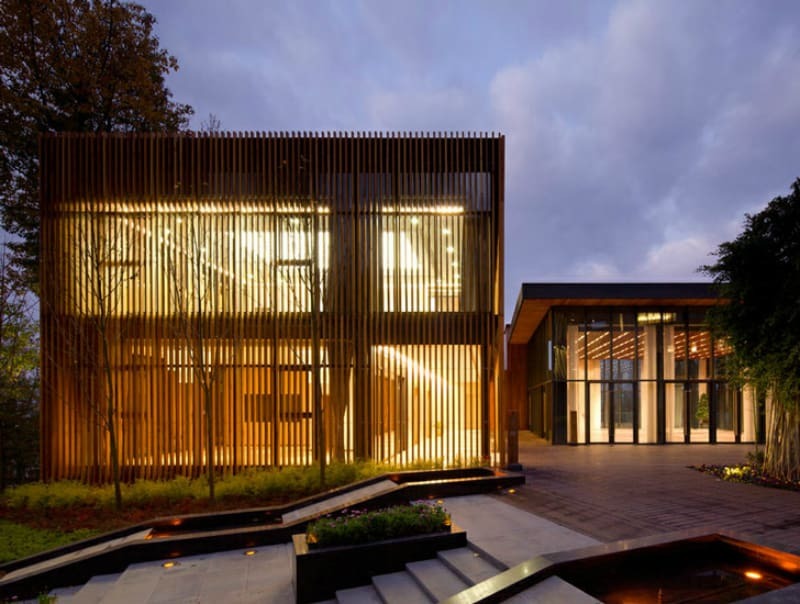 Architects from Ares Partners took a sensitive approach to local culture and environment. Preserving original architecture they have revitalized the buildings with bamboo, timber, and concrete. From the outside the resort also looks very organic and congruent with the environment of a still populated village. Cacheuta Thermal Hotel & Resort is the one with a rich but tragic history. Originally built in 1910 it served as a luxurious hotel and a casino, but was later destroyed by a wave from a glacier flood. Restored hotel opened in 1986 becoming a luxurious vacation spot. Featuring recycled and repurposed materials like old railway sleepers and local stone the retreat is partially hidden with greenery and mountain hills. Aside from beautiful nature the resort also has a restored veranda with a swimming pool, a garden, and a solarium. 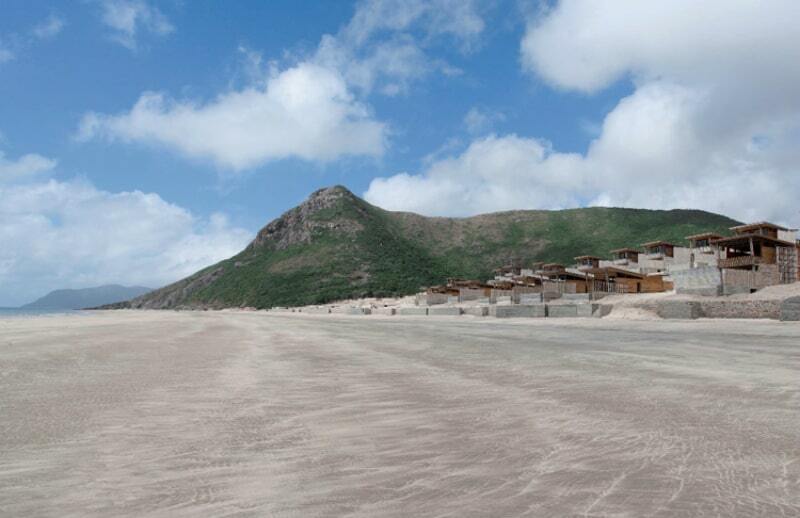 Six Senses Resort on Con Dao Island in Vietnam is an award-winning project of Reda Amalou and AW² Architecture. Combining luxury and sustainability the hotel boasts 35 rooms with natural ventilation and cantilevering roofs that were designed for sun protection and natural cooling. Surrounded with green hills the resort’s indoor/outdoor suites face the refreshing gulf waters offering picturesque vistas along the private infinity pools lying in front of the villas. 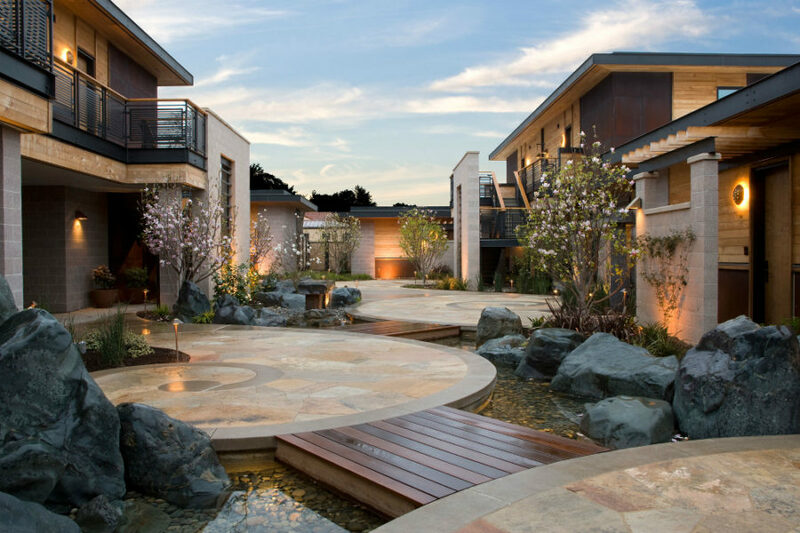 Bardessono Eco Resort and Spa is a gorgeous LEED-platinum certified retreat in Napa Valley equipped with rooftop photovoltaic solar power and surrounded with beautiful gardens. 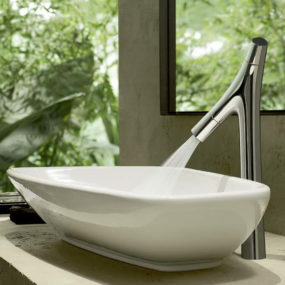 Grey and black water treatment systems and geothermal energy are used to ensure the retreat is environment-friendly. With an eco-developer Phil Sherburne and architect Ron Mitchell behind the project Bardessono looks contemporary and sophisticated. Aside from sleek stylish rooms, however, there is also a restaurant serving locally-grown foods and spa treatments on offer. 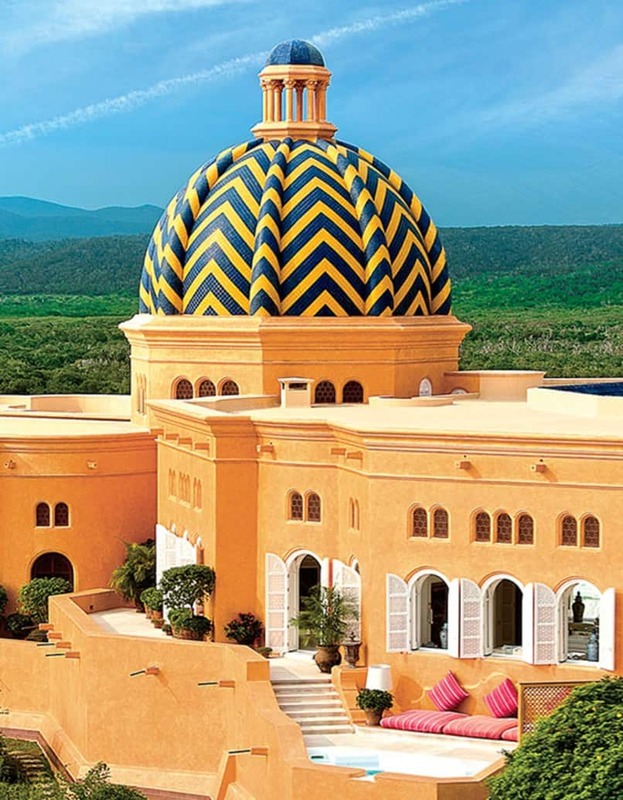 On Mexico’s Pacific Coast lies a gorgeous private eco luxe Cuixmala Resort, a part of 25,000-acre compound once belonging to a financier Sir James Goldsmith. 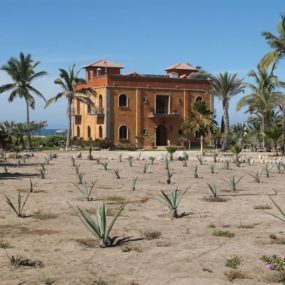 What used to be an exclusive vacation rental turned into an ecological reserve with a Casa Cuixmala hotel that includes the rooms starting from $800/night. Activities offered by the resort range from snorkeling to horseback riding to participating in the hotel’s Turtle Protection Program. 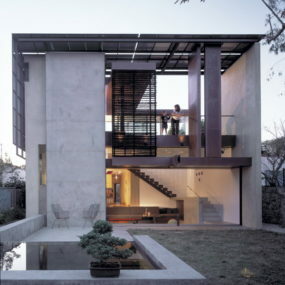 Innhouse may be clad in wood but it was designed with forest environment in mind. Earning a 2012 WAN award to The Oval Partnership the hotel was built with only 17 suites connected to the outdoors with bamboo decks. Having great insulation the temperature inside the hotel can be regulated naturally. 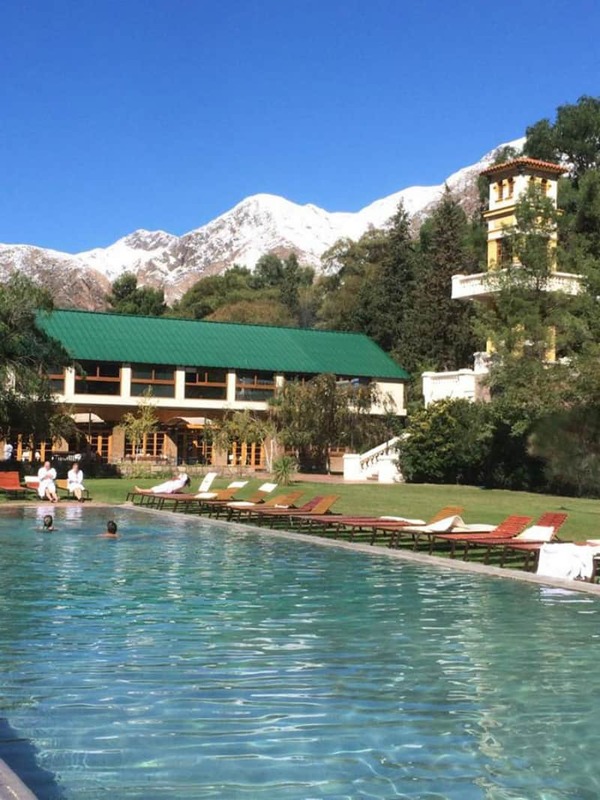 And that’s besides the rainwater collection and greywater reuse systems with which the resort has been equipped to provide visitors with a sustainable vacation spot. Remember Jacques Cousteau? The fascinated explorer, filmmaker, and researcher who sailed across the oceans with a TV crew and seemed to always to wear a red hat? 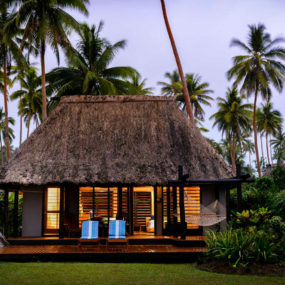 His son Jean-Michel Cousteau who followed in his father’s footsteps has created an amazing Fiji Islands Resort with traditional Fijian architecture and an organic garden. Located outside a town of Savusavu, the resort sits on the second largest Fiji island. Under new management the resort is cultivating clams and regrowing mangroves cut down by previous owners to restore the site’s ecosystem. 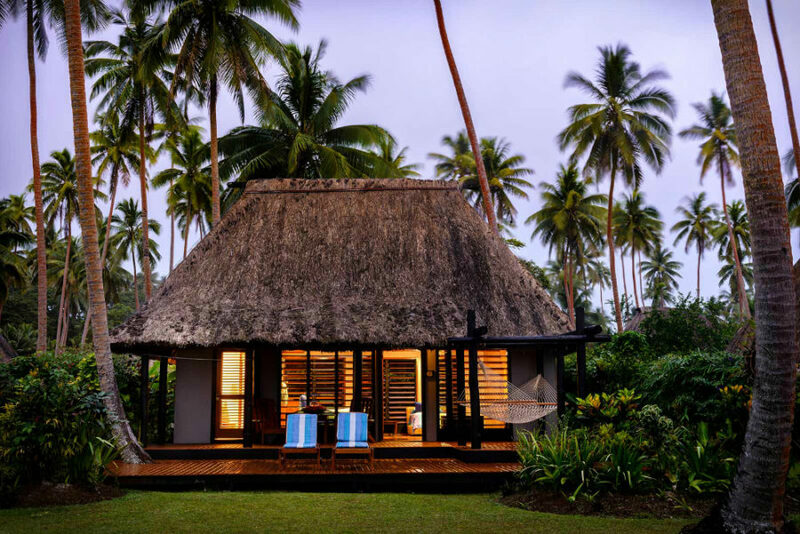 Traditional Fijian bungalows feature clever design that allows for natural cooling and protects from rains. Among other eco-friendly features there are solar water heaters, waste water filtration, composting, and organized waste management. 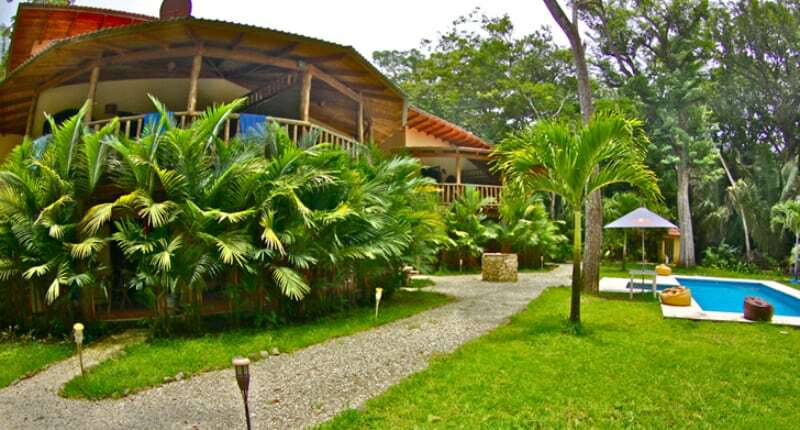 Places like Costa Rica are perfect for eco resorts because of their natural dense vegetation. 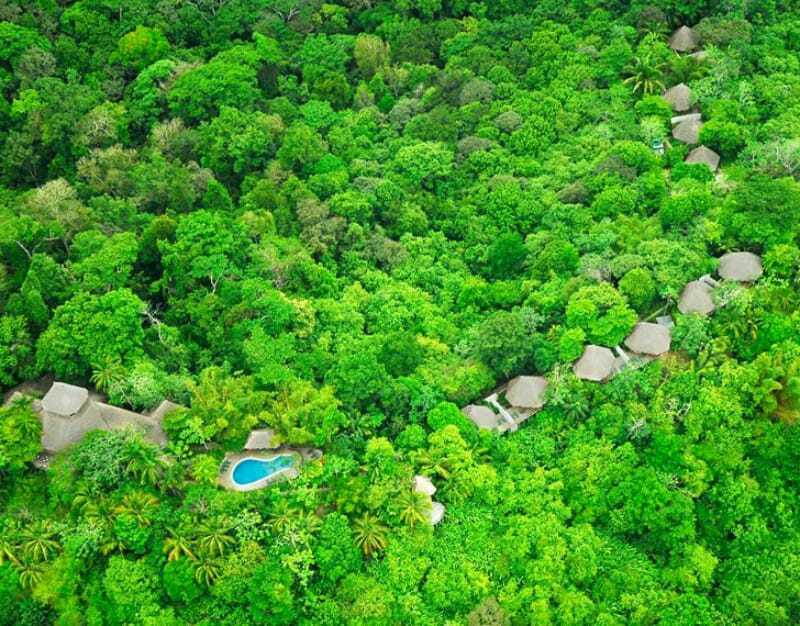 Surrounded with lush green forest the Lapa Rios Eco-Lodge is a sustainable retreat powered by pig waste and solar power. Initially a nature reserve Lapa Rios provides support to the local communities and protects the locale’s flora and fauna. 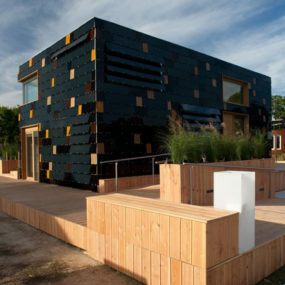 Recycling 80 per cent of the hotel’s waste the resort was also built with renewable materials. And it tries to promote eco-preservation through various projects and fundraisers. 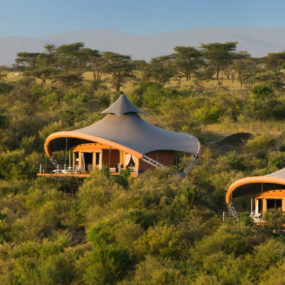 Mahali Mzuri safari camp was conceived as a low-density tourist destination in Kenya’s Motorogi Conservancy. 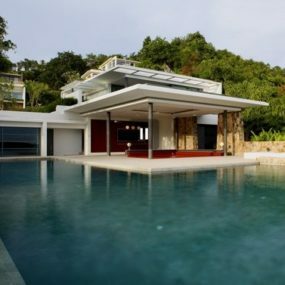 Another one of Richard Branson’s luxury retreats features low-impact eco-friendly tents with an infinity pool and a spa. Twelve peculiar tented suites with large decks and spacious bedrooms look cozy and calling. 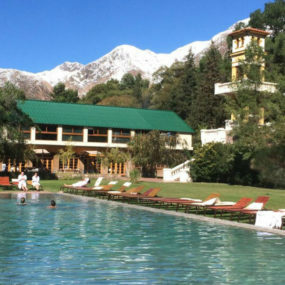 There aren’t many other amenities but the resort offers gorgeous views of the local landscapes, wild animals, and guided tours to the closest villages. 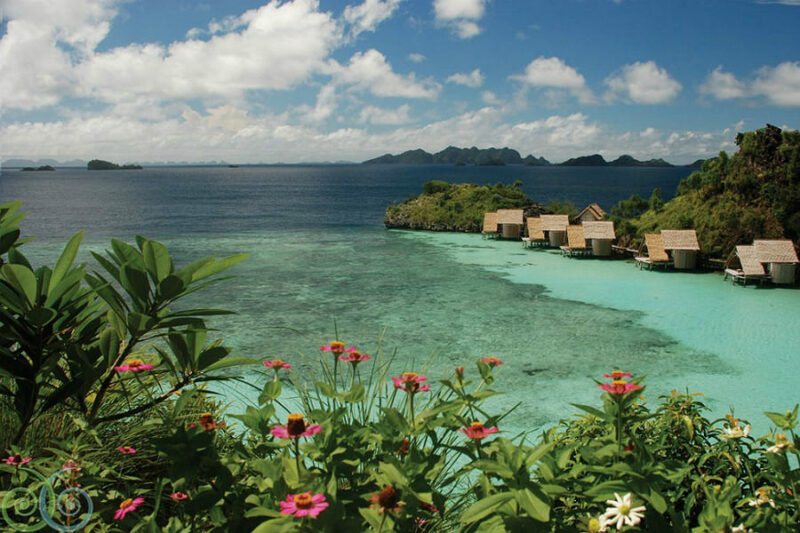 Misool Eco Resort located in Indonesia’s West Papua province, Raja Ampat is an exclusive dive resort and a conservation centre. Promoting sustainable tourism and supporting local communities Misool resort is all about enjoying nature without taking away anything from it. Resort’s capacity is just 40 guests and the staff is hired from the local communities. Surrounded by reefs the water bungalows on stilts offer unprecedented views of the marine life and the locale’s abundant flora. 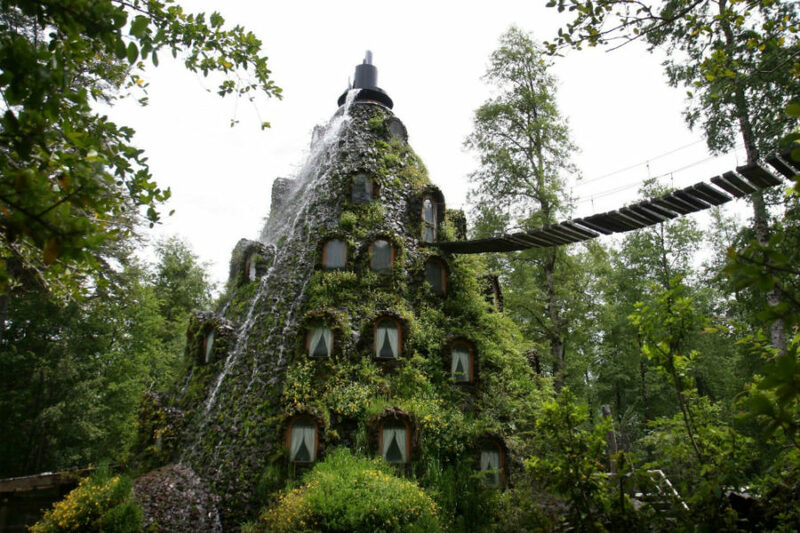 Located in the northern Chile’s Patagonia the peculiar Montaña Mágica Lodge has a rope bridge access. Covered with greenery and spouting water from its top the mountain-shaped hotel offers only 13 rooms, a bar, a restaurant, and a sauna. Finished with locally-sourced materials the lodge’s interiors are simple with a hint of rustic chic the peeled tree trunks bring to it. Even the outdoor hot tubs are carved out of the hollow trees. There is also a private 231 square mile (600 square kilometer) park for preserving the flora and fauna of the region as well as multiple waterfalls for the visitors to explore and contemplate. 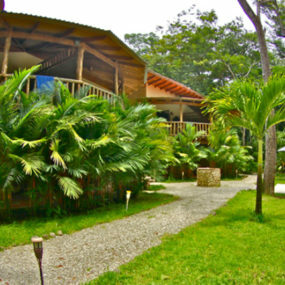 Pacifica Surf Studios in Costa Rica is one of the eco resorts that combines sustainability, nature and sports. Built with local wood both on the outside and inside the resort boats its own surfing school onsite along with a bar and a pizza shop, all of which make it a perfect vacation spot for the adventurous. With lush vegetation all around, each guest can enjoy the beauty of nature from a private terrace in each room. 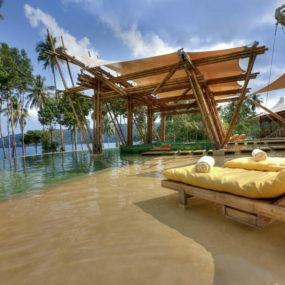 Siting on Koh Kood island that can only be accessed through a speedboat or a small cargo plane Soneva Kiri Resort in Thailand is one of the most luxurious remote resorts in the world. 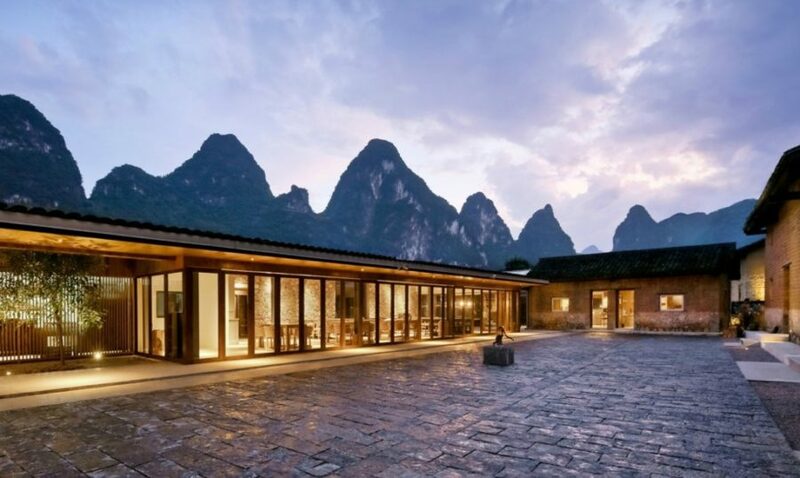 With all the amenities of a luxury retreat the Six Senses is a very eco-friendly hotel featuring water management and reclamation systems and waste removal. Using aquaponics the resort grows its own fish and plant foods. Besides solar power the resort also employs local farming production to be more sustainable and eco-friendly. Although the relaxed approach is highly encouraged by the resort there are also activities available to those who is bored just lying under the sun. Finolhu Villas isn’t just another one of Maldives’ resorts. 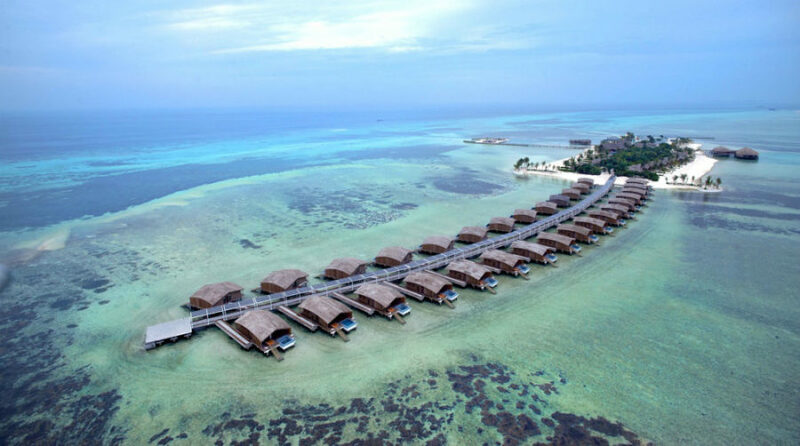 Sure, it looks a lot like one with its parallel water bungalows and a small island main building but this is the first entirely solar-powered resort in the world. A 5-star hotel is the design of Yuji Yamazaki that won him a 2015 International Hotel and Property Award for the Best Beach Hotel and a 2015 Interior Design Magazine’s Best of Year Award for the Best Resort Hotel. With a capacity for just 100 guests the resort sits on an island of around 12.6 acres and has 123,000 square feet (11,427 square meters) of interior space. 67,000 square feet (6,224 square meters) of solar panels outline the roof of a bridge connecting the bungalows. Eco Hotel Endemico isn’t like most eco resorts. 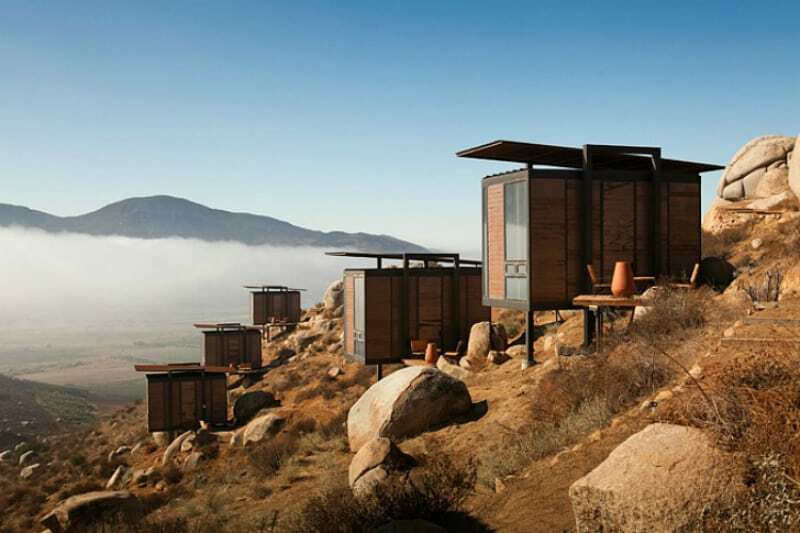 It is a collection of 20 cabins overlooking amazing mountain landscapes in the Valle de Guadalupe. Gracia Studio designed the winter retreat with a sunken pool, a hot tub, and a winery. Clay fire pits are also complementing small private decks of each cabin. Made of wood and steel Endemico is perfect for winter camping and seclusion. 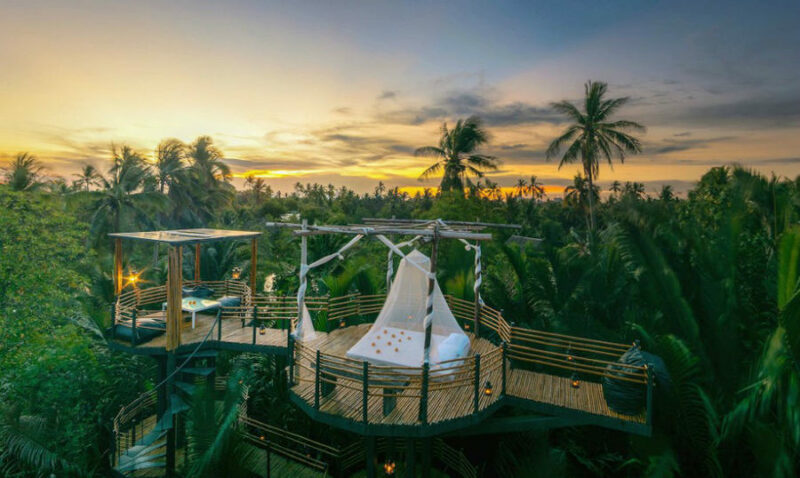 The Bangkok Tree House Hotel and Restaurant is just one of the Thailand’s many eco resorts. A 12-room boutique hotel sits on the banks of Chao Phraya River. 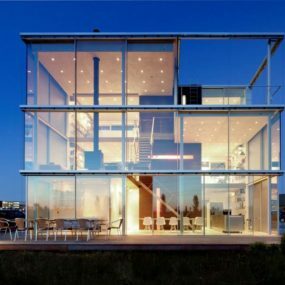 Built from reclaimed wood and bamboo the city retreat uses wind and solar energy, collects rainwater, and employs LED lights for reduced energy consumption. Sitting just outside Bangkok it is a great place for relaxing during weekends on elevated bamboo decks and terraces overlooking the jungle. 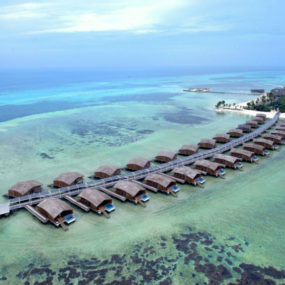 Eco resorts come in all kinds of sizes and forms. While some are inviting modest bungalows the others are luxurious retreats with long and rich history. Though more exclusive and costly they don’t have as much of an impact on environment as many other resorts.